Macarons, Puppy♥ Love and puriMeido! I’ve had a busy few weeks since I last posted. I’ve been to Shanghai twice, and to London, England too; and completed 2 busy days of my annual training (which consists of written exams, practical exams, drills and first aid training) so I’ve been quite tired. I just want to catch up on a few things before I make a longer post later this week! Last month when I met up for brunch with some DD owners in Vancouver, I also picked up some goodies that I had purchased from Puppy52’s online shop. 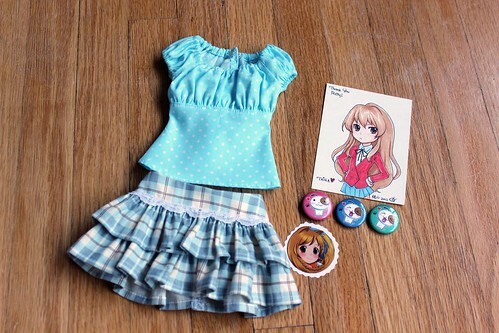 The timing worked out well and here’s the cute loot I scored: a beautiful top, a super cute frilly skirt, Happy Puppy buttons, a Mirai Firefox sticker and an adorable doodle that Chun did of Taiga. Aerie called first dibs trying the new clothing on the new stuff, but I intended the top to be for Gabrielle since I don’t have a lot of things that suit her DDS body. 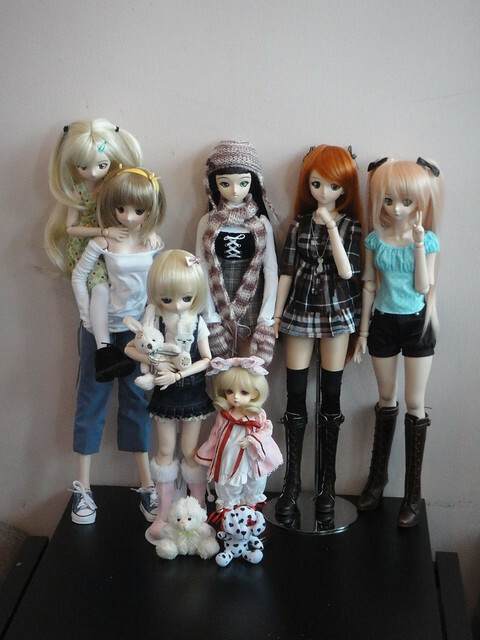 And here’s Gabrielle in the top out at a doll meet. Over the Easter weekend I was in London, England. I met up with my aunt and cousin for brunch and managed to squeeze in a tiny bit of shopping (since many shops were closed for the holiday weekend!). I had been given a mission by my sister to hunt down the limited edition collaboration macarons between Hello Kitty and Ladurée! 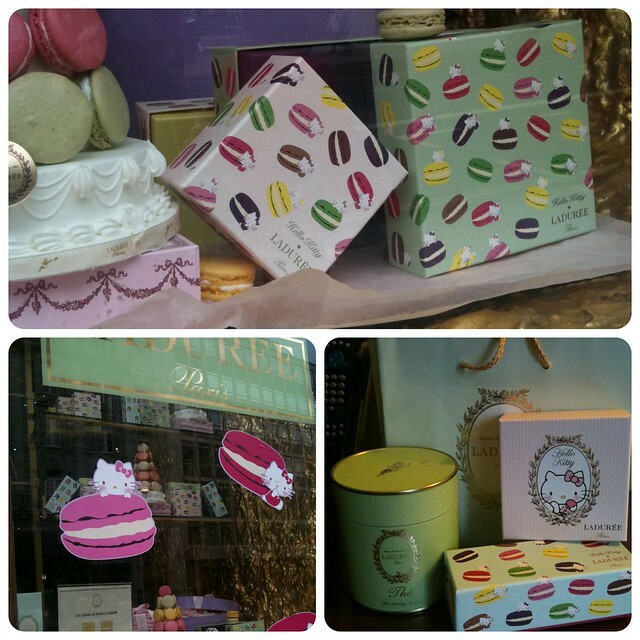 They didn’t have everything from the collaboration, but I managed to get her a couple of boxes of her favourite ones, as well as a tin of the Mélange Ladurée tea. The new flavour for spring is Sakura (cherry blossom), which is very fitting for this collaboration. The packaging is so adorable! My last bit of news is about Anime North! If you’ve been paying attention to the official website you may have noticed that the Café Delish maids will be pulling double duty this year! 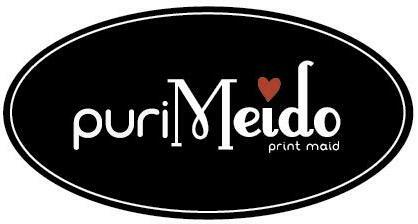 In addition to the café itself, they will also be in the Photo Alley at the puriMeido photo booth! Similar to the purikura (print club) photo booth machines that are popular in Japan, this year attendees can stop by to have a photo of their favourite maid(s)! Details on Café Delish and the puriMeido booth can also be found on the Facebook fan page! Ok, that’s all for now. I have lots of photos from last weekend to edit and then I’ll post again later this week! 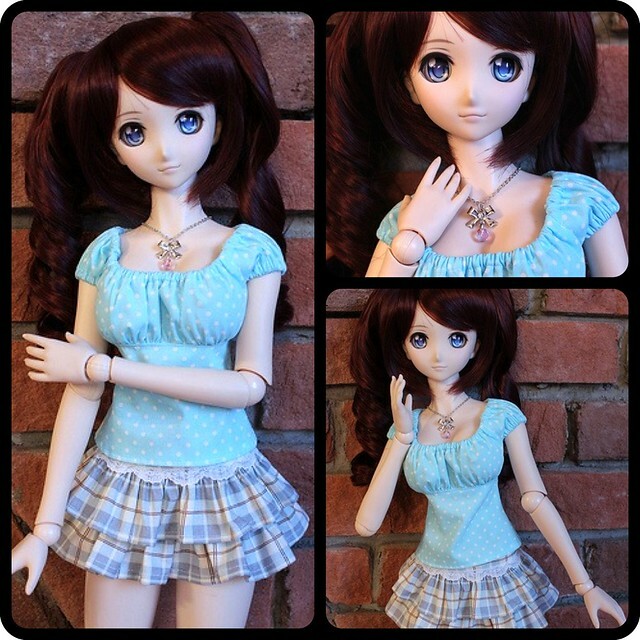 This entry was posted in Conventions, Doll Meetup by archangeli. Bookmark the permalink. Absolutely awesome! Great Puppy52 loot and those Hello Kitty Macaron bit are just so cute!